Are you looking for an aesthetic treatment that can enhance your looks almost instantly without downtime? 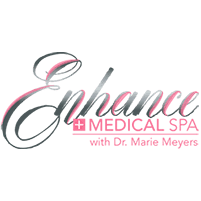 Dr. Marie Meyers and her staff offer Dermaplaning to quickly freshen yourappearance. Call the office or book online today. Dermaplaning is a comfortable treatment that uses a small sterile blade to remove dead skin cells and vellus hair (peach fuzz) from the face. No, you can go right back to your usual routine. By removing the top layer of dead cells, penetration into the skin is enhanced. Thus peels penetrate better, as do the nutrients in a Hydrafacial treatment, or the light in a Laser Genesis procedure. Skin care products are also more effective, and makeup goes on smoother. How will my skin look afterward? Skin tone and texture are better, and skin feels soft and smooth. With the dead cells gone, your body will generate new cells which look fresh and bright. What is the patient satisfaction rate? This treatment is very popular both on its own and before other treatments. It is safe during pregnancy and great for sensitive skin. Patients love how it leaves their face smooth and glowing.